Barbari bread (Persian: نان بربری‎‎ Nān-e Barbari) is a type of Iranian flatbread. It is one of the thickest flat breads. Barbari is a popular traditional Persian flat bread with a crisp crust and light airy texture. 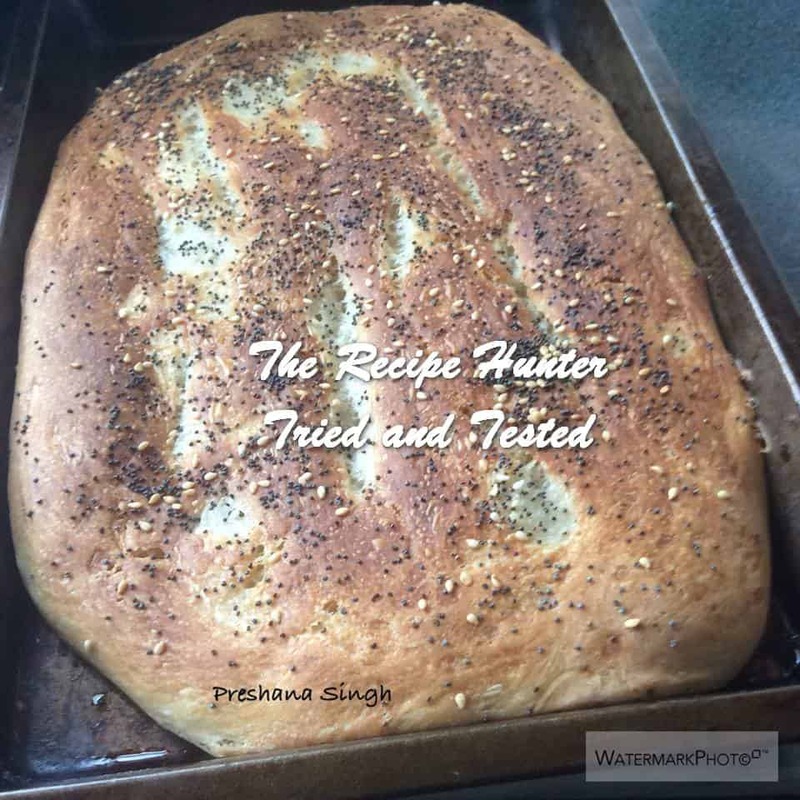 Today I made this bread with poppy and sesame seeds sprinkled over the top and served it with a curry. Mix the salt into the 4 cups of flour and add to the yeast mix. Oil a bowl and put the dough in it, cover and let it rise for an hour, until double in volume. Next punch the dough down and divide into two parts. Cover and let it rise again. While the dough is rising this time, make the roomal. Combine the flour, oil , sugar, with half a cup of water and mix it all in and cook it on low heat until it thickens. cover and let it cool. Working each part of the dough separately, shape the dough into a rectangle and put it on a well oiled baking sheet. 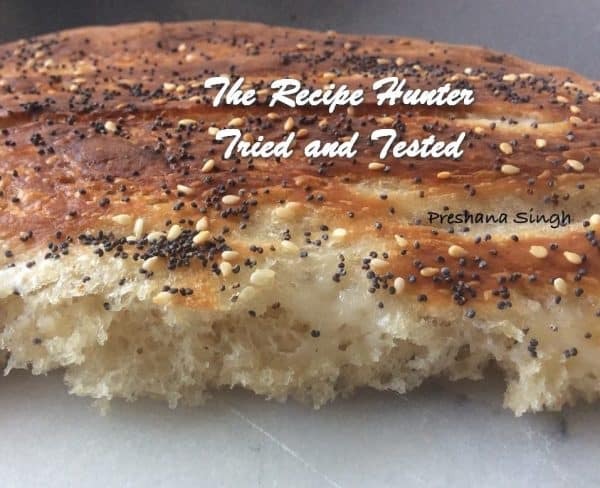 Make the ridges in the shaped dough, apply half of the roomal paste, sprinkle half of the sesame and nigella on it and bake for 15- 18 minutes. Repeat with the second part of the dough! Looks like a lovely loaf, nice recipe!